Executive producer Joanie Wynn oversees every project with an exacting attention to detail. In production, clients often need to “turn on a dime” and, having worked in broadcast television and corporate marketing for over 20 years, Joanie understands the necessity of staying flexible, responsive and highly organized. Joanie started her career in Hollywood where she wrote and produced dozens of promotional and marketing pieces for Disney, Sony, Warner Bros. and Dreamworks. During this time, she had ample opportunity to hone her skills as a field director and interviewer. From celebrities and CEO’s to “everyday Joes”, Joanie knows how to draw out strong content from any interview subject. Since moving to the Bay Area in 1996, Joanie has used her video marketing and production background to write and produce projects for clients in other business sectors including video games, luxury travel, green tech, retail and non-profit. Joanie works closely with each client throughout the production process, making sure that critical content, delivery and budgetary goals are met. She also interfaces with all members of the creative team to make sure that the project runs smoothly from start to finish. Steve is the ultimate hyphenate, a veteran director/shooter/editor with over 25 years of experience. 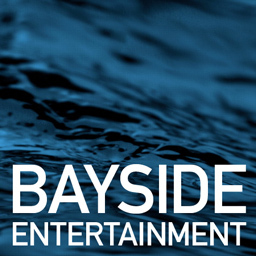 As an industry veteran, he has worked in virtually every aspect of production and leads Bayside with his breadth of expertise. An Emmy-award winning cameraman, Steve began his career in broadcast, where he traveled the world for clients like Discovery Channel, History Channel and Travel Channel. Recently, he’s directed, shot and edited projects for Lucasfilm, Sega, EA and Ubisoft. In the field, Steve has an ability to get his camera right in on the action, whether he’s tracking an Aston Martin at 170 mph or swimming with sea otters under Monterey Bay. An outdoor enthusiast, he shoots extreme sports and adventure travel with an insider’s perspective. In studio settings, Steve seamlessly interfaces with art directors, stylists, actors and crew members to bring about a very relaxed and efficient set. An accomplished editor, Steve combines his strong visual sense with an equally attuned ear for audio. A gifted musician, he has received multiple Emmy nominations for music composition and sound engineering. Doug is our master of art direction and set design. He can create any environment you can imagine and has created sets for numerous Bayside projects for Sega, Ubisoft and Lucasfilm. Doug grew up in the film industry, joining the Theatrical Stage Employees Union at the age of 15. He spent his youth working at the SF Opera, SF Ballet, ACT, Winterland Fillmore West, and theatres like the Geary, Curran, and Orpheum. Today, Doug continues to bring his enthusiasm and production design excellence to projects for TV, film, trade show, music video and live events. Tim has over 25 years experience as a producer, director, creative director, and editor working in graphics, film and video. As our art director and graphic designer, he creates the full range of motion graphics including animated opens and trailers, 3-D titles and graphic transitions. His stunning work can be seen in projects for Lucasfilm, Sony, Ubisoft, Sega, EA Games and many others. Tim brings passion and creativity to all his work, incorporating a wide range of experience and a uniquely creative eye.